The first Egyptian female Doctor. Born in Tanta in 1904..after her primary education she joined the “Siniyyah” boarding school in Cairo and afterwards the Teachers College..at the end of the second year she was sent in a mission to London in 1922 to specialise in Maths, she and Zainab Kamel being considered of the first female students in England.. she joined the London Medical School together with another five female Egyptians.. and she became a qualified doctor in 1930.. she returned to Egypt to work in Kitchener hospital and became the first female Egyptian doctor she opened her own private clinic and performed deliveries and surgical operations in the Coptic Hospital.. she continued to work until her seventies then retired and dedicated herself to translating children’s books. Dr. Helena Sidarous is an Egyptian personality who cast her individual light upon the stage of events during the opening third of the twentieth century and truly influenced the course of its social events. With renewing will she was able to stir the inherit powers within people and helpedto release their creative abilities through her conscientious and enlightened thinking. In following her exemplary conduct we will see how she was able to work hard, challenge of the most difficult circumstances and face all kinds of struggles in the Egyptian society to achieve freedom, progress and the choice of a better and nobler life. Her life story represents a high moral stance that inspires our own lives with a multitude of values and principles when practicing medicine, a field that has been blemished with several mal-conducts whilst we are at the doorsteps of the twenty first century! We will find in her example the stimulus for our forward progress and the enrichment for the experience of our upcoming generations. Helena was born in the city of Tanta on 13 January 1904, a time when girls’ education was limited to the third year of the preliminary stage. They were not allowed to apply for the national exams nor obtain a certificate for the completion of standard education. Even them driving a car was very unfamiliar and a matter that raised amazement and wonder. Teaching was the only profession that was open to women. In addition to all these limitations Helena was a weakly built child which made her unable to start school in the appointed age. Therefore she joined the “Coptic College for Girls” when she was 8 years old. She dreamt of becoming a doctor so that she can treat patients and ease their sufferings although her circumstances at the time were not indicative of this. Before going further into the life of Helena Sidaros we should briefly stop at the history of the “Coptic College for Girls”, that wonderful achievement that was established by the “Tawfeek” Coptic Society. On the evening of Saturday 23 October 1909 the “Tawfeek” Society held a meeting at its headquarters that was attended, in addition to its own members by a large number of elites from thinkers and managers to establish a college for girls. The prime goal of this college was to prepare a new generation of Coptic young women with the history of Egypt at the top of their curriculum and to shape the hearts and manners of the pupils according the social mould of the time based on the love of knowledge, country and virtues. It aimed at providing the Coptic girl with the excellent upbringing that puts her in par with Western girls. The only resources that were available for Coptic families to achieve such aim were few foreign missionary schools. Out of this meeting, a technical committee had proceeded that stressed the importance of the Egyptian history, history of the Coptic Church, the Coptic language and the principles and manners of the Christian religion. Because of her distinction in her studies and the high intelligence she possessed her father sent her to join the boarding division of the “Siniyyah” school in Cairo. Subsequently she joined the Teachers College since she has no other option except this path. The period of study in that college was four years, all the students were resident in the boarding section and the education was free. Both College head and teachers were all British females with the exception of the Arabic teacher who was a sheikh wearing the “Al-Azhar” uniform. Having completed the second year in the Teachers College she was nominated to a State grant to study math in England in view of her excellence in this subject!! She was very happy with this nomination and so were her family who agreed to her travel because of the brilliance and the genius mathematical thinking that they detected in her. Helena travelled to England to study math but a short while after commencing her studies she realised that the curriculum will onlybe limited to what is equivalent to the certificate of completion of the secondary education in Egypt and that at the end of her studies she will only receive a document that limits her speciality!! Helena was very angry at this and immediately sent a letter to the Educational Adviser (or Cultural Attaché as he was called at the time) of the Egyptian Embassy in London requesting his approval for her wish to return back to Egypt to complete her studies. However, a week after sending the letter the cultural attaché came to London to visit the school in which she was studying. He asked to meet her and gave her an offer to study medicine! At that time the “Kitchener Memorial Society” had been established in Egypt with the aim of building a hospital that is totally dedicated to female patients and which is run only by female doctors. Hence it was decided to recruit a team of Egyptian students to train them and Helena was chosen as one of that team. Helena agreed to this nomination and so did her family. Having passed the final exam for the secondary stage of education in England Helena joined the London Medical School for Women together with another five Egyptian females. That was in the year 1922. Her application to study medicine had astonished her English professors who had pity on her of the hardships of medical studies and offered her to specialise in the field of teaching in kindergartens!! She refused adamantly and had accepted the challenge of studying medicine. The first few weeks of her studies were extremely hard, the subject of anatomy being a cause for her pain and distress. However, after a while she came to accept such style of education particular to medicine and completed her studies with distinction to become a qualified doctor in 1929 when she was 25 years old. 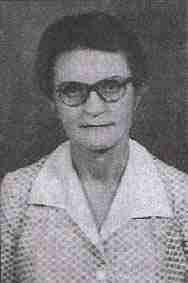 Helena returned to Egypt in 1930 having a degree in medicine and obstetrics from the British Royal College. She worked in Kitchener’s hospital in Cairo where the resident doctor at the time was English and who, after she returned back to her country Helena undertook her position with great efficiency. In 1935 after completing the mandatory commissioning period, Dr Ali Fouad offered her work in paediatrics and to have her own practice.Dr Sami Galal recalls that that Dr Abdullah Al-kateb had encouraged and helped her to open her own clinic at the “Bab el-loak” district of Cairo, whilst at the same time she performing her surgical operations and deliveries in the “Coptic Hospital” in Cairo at the request of Dr Naguib Pasha Mahfouz the pioneer of obstetrics and gynaecology practice in Egypt. Amongst the thousands of babies that she had delivered was Professor Dr Tarek Ali Hassan the son of her friend the chemist pioneer Dr ZainabKamel Hassan. In many occasions when she was called at midnight to help a lady in labour, she would personally drive her private car amongst the surprises of the passers-by in her way to the woman’s home to be on her side. Therefore she used to see medicine as a challenging profession that demands many sacrifices and that without a sincere desire to study medicine it would be very difficult to continue in it. How much, in these days do we need such a truthful humanitarian spirit in the practice of medicine? After she had passed her seventy she was struck by aging and her sickness forced her to retire from her work but she joined the Coptic Charitable Society for social work. It is that society which established the Coptic Hospital in Cairo as the first national hospital in Egypt providing residence for Egyptian patients and was opened in 1926. Years afterwards further national hospitals had started to appear in Cairo and Alexandria such as the “Muwassah” Hospital in Alexandria, the Coptic Hospital in Alexandria and the hospital of The Islamic Charitable Society in “Agouza”…etc. Whilst working in the Charitable Coptic Society she undertook the translation of several books for children and prominent writers. She spent the final time of her life in good old age having served her country in particular and humanity in general with perfect honesty. In the morning of Thursday 15 October 1998 she departed from our earthly world to eternal city of the living.